This month, we look at two sportkites from Buena Vista. BV was recently bought by Invento, the dynamic German kite company that seems to be leading the way in global kite marketing. Buena Vista kites are distributed in the USA by Nova Design Group sales (at) novadesigngroup (dot) com, in Europe by Invento/HQ Kites. Also, we test the “Pro Wren” indoor kite from Precision Kite Company. Manufacturer: Invento, from designs by Buena Vista Kite Co. Weight: 9.2 oz., 289 gr. The Catalyst is the newest design from Peter Werba. Peter’s company, Buena Vista, has been known for the last few years for producing well-crafted kites, leaning toward the freestyle side. The Catalyst continues that tradition. 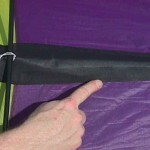 The sail is well constructed from 31g Ventex material. 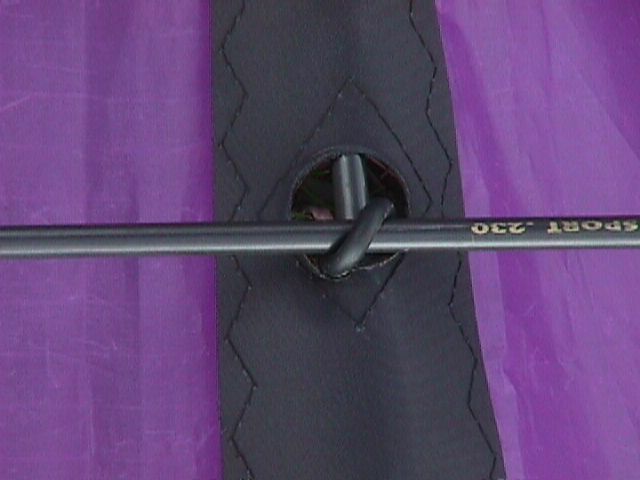 A unique design element is the use of a center strip of heavyweight dacron (detail below) to give the sail increased longevity. 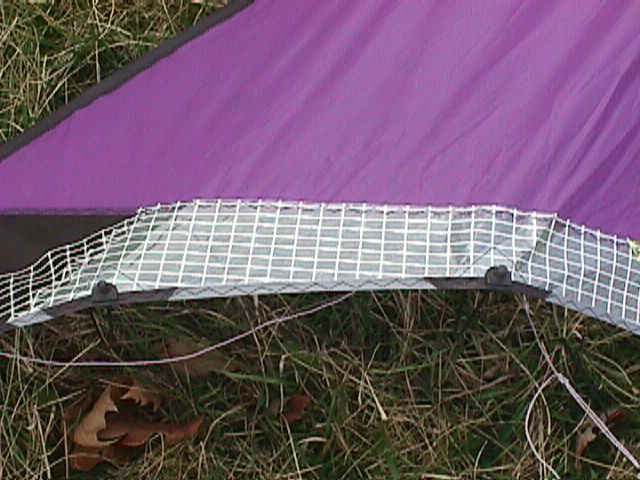 Another clue to the maker’s intent to make this a long-lasting kite is the heavy use of laminate reinforcement on the trailing edge. 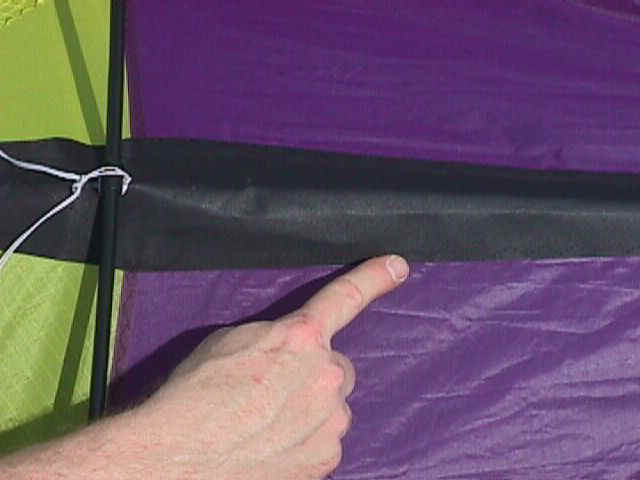 Another point that is a heavy wear point on many kites, the point where the top spreader crosses the spine, is also looker after on the Catalyst. There is a small reinforced window cut in the sail at this point, and the center tee is secured to the spine with a rubber “O” ring. This construction element also adds some rigidity to the framing. The frame on the Catalyst is a combination of Avia 6mm pultrude spars and G-Force UL’s. Leading edge connectors are the excellent APA design, quite grippy and secure. 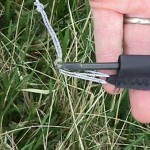 The rest of the connectors are not of the same quality, at least on the test kite. The center tee was made of a rather long piece of solid graphite, which made the kite difficult to place in it’s bag at the end of a day of flying. There is also a risk of someone not familiar with proper stowage procedures letting the sail fold over the ends of this piece, which could cause sail damage. Also, the method to secure the sail to the bottom leading edge spars is unusual. 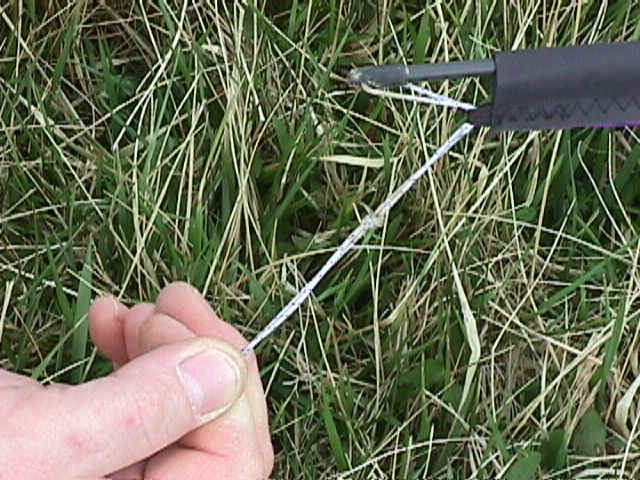 Rather than bungie cord, the Catalyst uses the same Dacron/Spectra line that forms the bridle to make this connection. 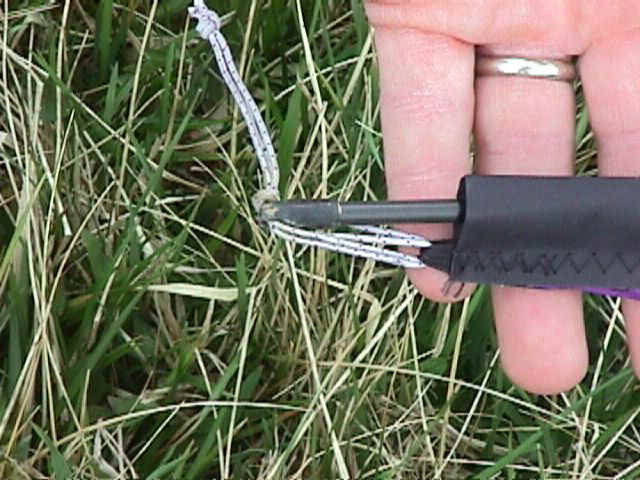 The standoff-sail connectors protrude a half-inch beyond the back of the sail, giving the line and bridle some4thing to snag on during aggressive trickery. Inspecting the kite, we figured it would be a fun freestyle/trick kite. It’s medium-high aspect ratio made us think it would be fast in forward speed, faster in turns, and not very precise.We were half-right on this analysis. The half we got right was the Catalyst’s trickability. Name the trick, this kite will do it. Coin Tosses, Axels, Cascades, Fades…very quick and easy to control. The wind was a little too high for our testers to perform 540 flat spins, but I have no doubt that this little spinner would have no problem. The half that we got wrong was on the kite’s precision ability. While no one would ever confuse it with an “Hawaiian”, we feel that this kite sets a new standard for a freestyle kite in the area of precision. For our precision test, we recruited Vern Balodis to put the kite through it’s paces. (Vern is captain of the team that has won the US Team Precision championship in ’96-’97). After a few minutes of familiarization he was doing “Square Cuts”, “Rug”, and other difficult Precision maneuvers with a decent degree of accuracy. No one will ever confuse this with an outstanding precision kite, the small amount of oversteer will prevent almost any flier from getting a “9” on one of the difficult compulsories. However, for a kite with such outstanding freestyle/trick abilities, we were impressed with it’s precise flight. 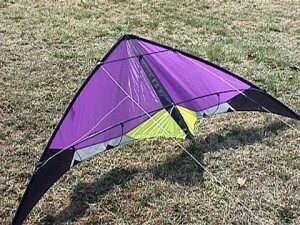 Wind range of the kite is rated at 4-20 mph, 6-30kmh. During our tests we experienced winds from 4 to 11 mph. At the low end, the kite had a small window, and required pumping to achieve much lift, but could do every trick that our testers know. Precise turns go out the window in low winds, it’s time to flip this kite all over the place. In winds of 9-11 mph, the kite was quite fast, still trickable, and with the increased forward drive was able to perform quite precisely. In all cases, the kite was a silent flier and a light puller. The Catalyst is a great addition to Buena Vista’s line of quality kites. The few qualms we had with the connectors are being fixed by the manufacturer, according to an e-mail I got yesterday, March 28. We will report next issue on the revised framing arrangement. The Catalyst is one of the best “all purpose” kites we have flown. The quality of it’s construction, combined with it’s excellent flight characteristics make this kite a real winner. Weight: 7.0 oz, 218 gr. M.S.R.P. : $100.00, includes sport-grade flying line set. The Vibe is another new design from Buena Vista. It is designed to fit the entry-level flier who wants a kite that they will not outgrow quickly. It features the same quality construction with it’s big brothers. On a glance, it is easy to tell that this is a Buena Vista kite. The Vibe is a lower-aspect ratio kite than the Catalyst. They share the same 31g Ventex sail material, as well as the excellent dacron panel in the sail center. 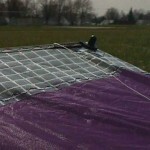 The frame is 5.3 mm Avia pultrude, which should handle all the abuse that anyone could give this kite. The kite has the same wingtip-to-sail connection technique as the Catalyst, something we would change. Other connectors are perfectly acceptable. 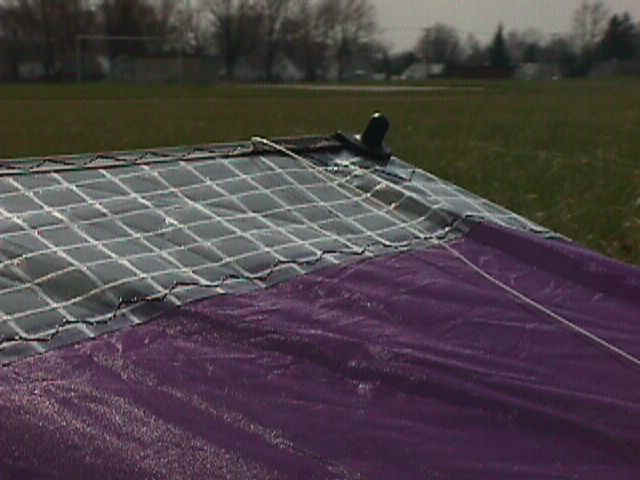 Since this kite is aimed at the entry-level flier, we took a different tact toward our flight tests. At our local field, there are always a few new fliers around, and we recruited one of them to help with this test. Our experienced fliers tested the Vibe first. They found many aspects of the kite’s flight to be consistent with others in it’s size range, a quick forward speed, and a reluctance to do groundwork maneuvers. The surprising aspect of the Vibe is it’s ability to do all the tricks. This kite is an extremely quick spinner, and will do all of the extreme maneuvers. The rated wind range of the Vibe is 4-18 mph. We feel that the bottom end is optimistic, 6 mph is more like the minimum that it took for us to get this kite to fly acceptably. In wind of 9-12 mph, the Vibe was a rocketship, testing our reflexes and eye-hand coordination with every maneuver. Definitely high-energy fun! In the higher breeze, the kite made a “bzzzzzz” noise that the testers enjoyed. Bob, our beginner flier, has owned a Peter Powell diamond stunter for a few months. This was his first time with a fast delta-wing sport kite. He launched the kite in a 10 mph breeze, and sported the widest grin I have seen in a while. Bottom line, he gives the Vibe a thumbs-up. Buena Vista quality for $100, a good thing. 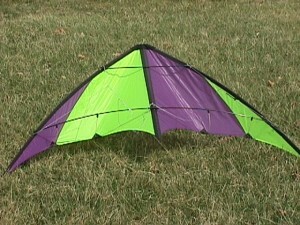 This kite is a great starter kite for those young in reflexes. Light pull, agile response, nice appearance make this a good choice for those in the market for a kite in this price range. The industry needs more good $100 kites in our opinion. The Pro Wren is the newest indoor kite from that wizard of kite making, Jeff Howard at Precision Kite Company. 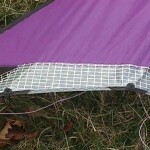 This kite could very well be the ultimate dual liner for indoors at a competition level. It is sure to reset the standards that other designers will try to match or surpass. While not requiring the flier to be a pro, it sure does help you to look like one. The last week of Febuary found the UPS guy at my door delivering the long awaited package containing the PW. Taking it out of the box and assembling it, I was not a bit surprised by the top notch craftmanship. After figuring out how to do the wingtip lashings, I laid the kite against the wall and sure enough, it was bigger then the Wren. However, when picking it up, I could not believe the weight. It was as light as a …., no it was even lighter then that. I later found out just how light when I sent the prototype on to it’s next destination. The Post Office scale had it weighing a mere 3.7 ounces. Unreal. The clerk actually recalibrated the scale because she couldn’t believe the first number. But it was acurate the first time. After disassembling the kite and putting it back in the bag, I quickly headed for the gym. Putting the kite together this time was easy, since I already knew how to do the wingtip lashings. The Pro Wren and the Wren share very few cosmetic similarities. 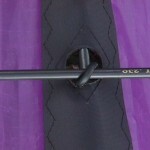 The Pro Wren is bigger, stiffer framed and has a slightly curved leading edge. 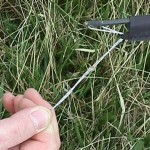 One similarity that it does share is the “Sail Baton Tensioning Sytem”, which to my knowledge was invented by Jeff. What this system does is place a carbon fiber rod between each stand off and the top spreader along a reinforcement in the sail. This makes the sail sculpted and stiff, holding it’s shape and depth no matter what the stress on the kite. The “SBTS” also has another advantage. In order to attach the carbon rods to the top spreader, a center tee of black waxed dacron was added. As a result, the top spreader is pushed out away from the keel. When the kite is belly down, nose toward you, the nose is elevated off the floor just enough to allow a dead launch. This is done by raising your arms and moving backwards, then giving the lines a quick tug and the nose will come up ready to launch. It’s that easy. One true distinction of this kite, is its balance. By holding the kite at eye level perfectly flat and letting go, the kite floats straight down. No forward or reverse pitch. Just straight down. I wanted to see if I could put this sense of balance to use. What I came up with made me smile. Doing an up and over, I wait till the kite just starts to make its descent and I make it stall. With careful use of the lines I can make it float straight down or axel out about a foot or two above the floor. It’s like a Harrier jet. The Pro Wren has just the right amount of lift. You don’t have to work to keep it aloft like with other big wings. When turning the PW, I found it to be perfectly responsive and graceful. And for those times when the kite does find itself nose first into the floor, rest assured because the Pro Wren has a reinforced nose. Because of the PW’s size and stiff frame, it is very stable. Doing horizontal 360’s, the kite holds a straight even line. Because of the light weight, you can still feel the kite’s own wake, but it doesn’t feel so bumpy as with the Wren. You can barely see it bounce at all. Trickwise, the Pro Wren is amazing. With the kite being so balanced and light, floats are forever. Helicopters are incredibly slow and graceful. It will belly launch, pop-up launch and as mentioned earlier, dead launch, all will relative ease. It axels flat, very flat. Multiple axels are a piece of cake because of its amazing hang time. Flat spins and 540’s are also accomplished with ease. As a matter of fact, it is pretty hard to get the kite to come out of the air. Recovery from most any botched move was a snap. The kite just sort of hangs there waiting for you to recover. Hand launching is also easy with this kite, again because of those balanced floats. Axeling it by hand from the nose or a wingtip becomes second nature. As thrilled as I am with the Pro Wren, I would not suggest it for a beginner. Better they cut their teeth a lighter, faster kite. But once a flier reaches the intermediate to advanced stage, the Pro Wren would be an excellent choice. The Pro Wren gets top marks in stability, trickability, lift and balance. On a scale of 0-5, with 5 being the best, the Pro Wren gets a solid 5. This entry was posted in 1998, Dual Line, General Topics, Issue 1 (Apr), KL Archive and tagged Buena Vista, Catalyst, PKC, Pro Wren, Vibe, Werba.